In its 682 pages, the CMS 2019 home health final rule lays out numerous payment updates, case-mix refinements, and quality reporting changes that will affect home health agencies in 2019 and beyond. It also finalizes the implementation plan for the so-called Patient Driven Groupings Model — a dramatic change in the home health unit of payment from 60 days to 30 days for calendar year 2020. The 2019 final rule will require action from your agency. And you need to prepare for change now. 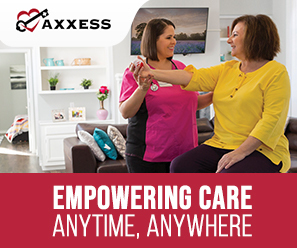 The 2019 home health final rule was the subject of a recent 90-minute webinar presented by executive management consultant Sharon S. Harder and home health clinical expert Jill Dyer, BSN, RN, HCS-D, HCS-O — "The 2019 Home Health Final Rule: Preparing for Change" — now available to watch on demand. Now Sharon and Jill answer some of the most popular questions asked during the webinar in this new FAQ document. The FAQ document by Harder and Dyer is available to download and share with your team.